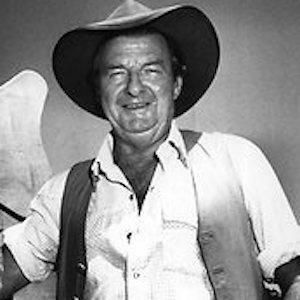 Born David Gordon Kirkpatrick and known to his fans as Slim Dusty, this Australian country singer, guitarist, and songwriter collaborated with fellow Australian country musician Gordon Parsons on the 1957 international hit "A Pub With No Beer." His other popular singles include "G'day G'day" and "Lights on the Hill." He released his debut recording, When the Rain Tumbles Down in July, when he was just eighteen years old. Having produced more Platinum and Gold Recordings than any other Australian musician of his era, Slim Dusty became an inductee of the ARIA Hall of Fame. His marriage to fellow singer and songwriter Joy McKean produced children named Anne and David Kirkpatrick, both also musicians. He and McKean were also business partners, co-producing the popular Slim Dusty Travelling Show. His hit song "Cunnamulla Fella" was later covered by fellow Australian country singer Lee Kernaghan.